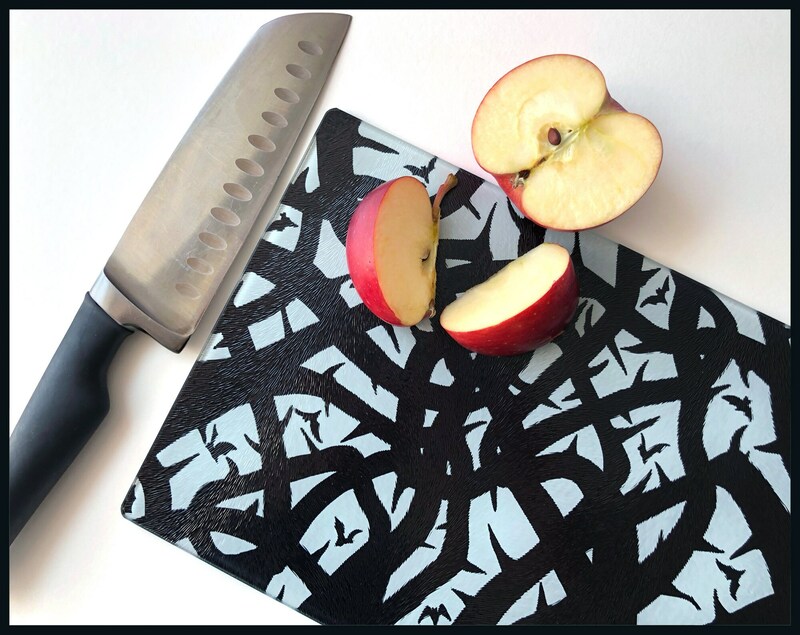 Inspired by the brambles that entombed Sleeping Beauty, this striking black and white 'Queen of Thorns' cutting board is printed by hand and made to order. 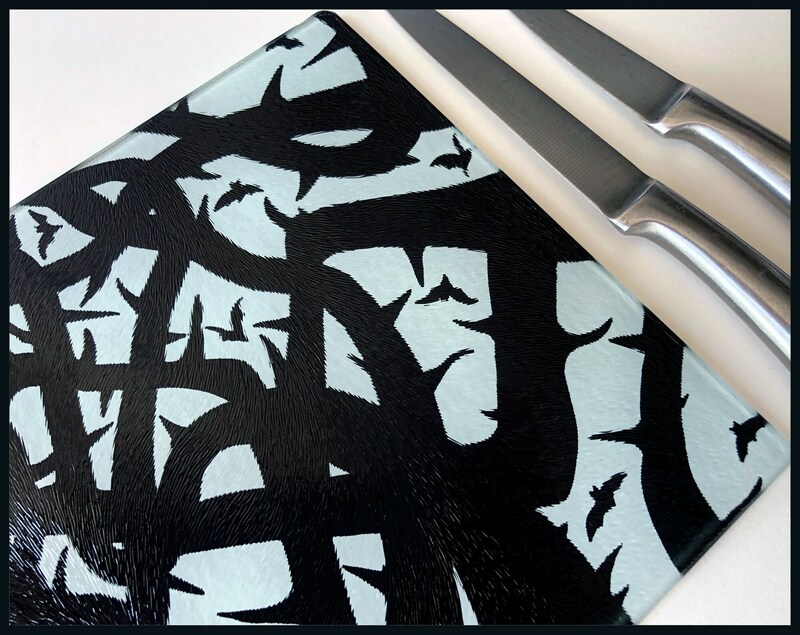 The Queen of Thorns Cutting Board is a unique gift for foodies and keen cooks. 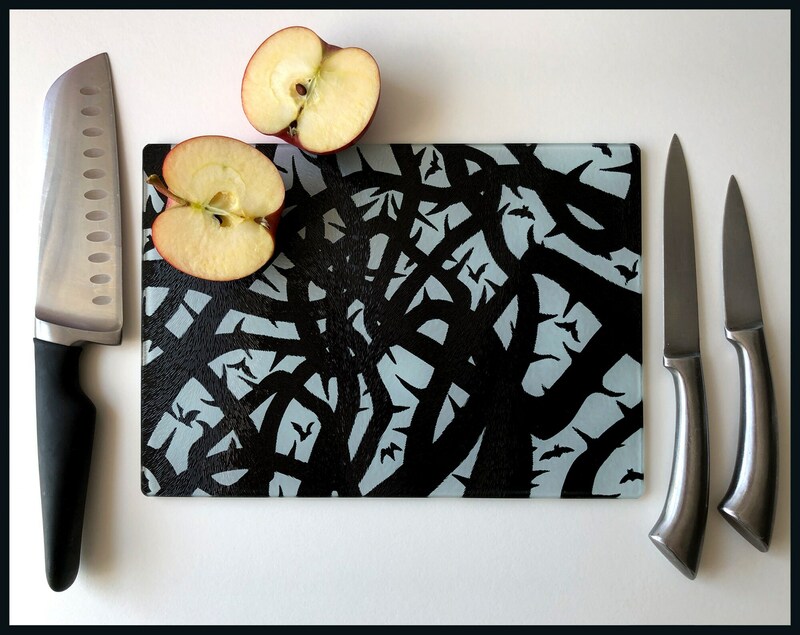 This beautifully illustrated cutting board is proudly made in the UK. 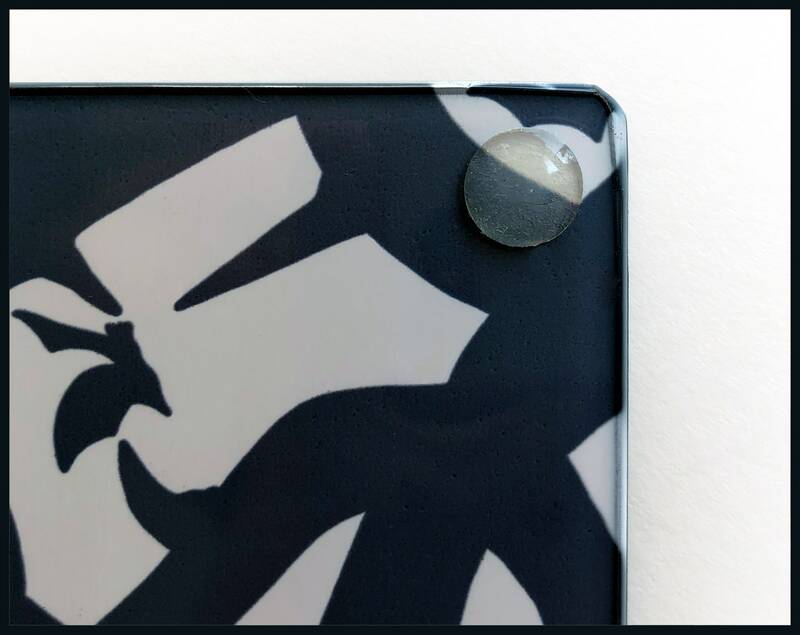 Each board is printed individually, by hand, onto a strong tempered glass board. 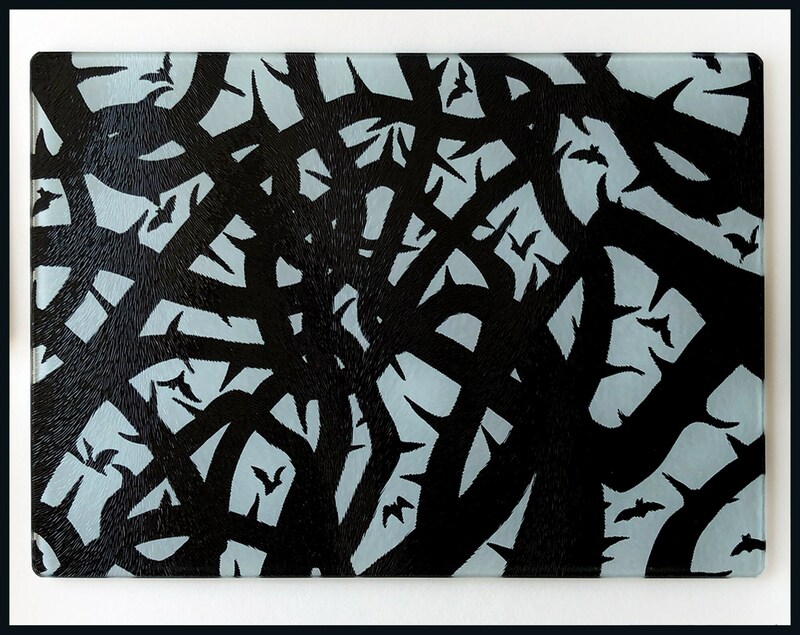 The surface of the glass has a chinchilla finish. 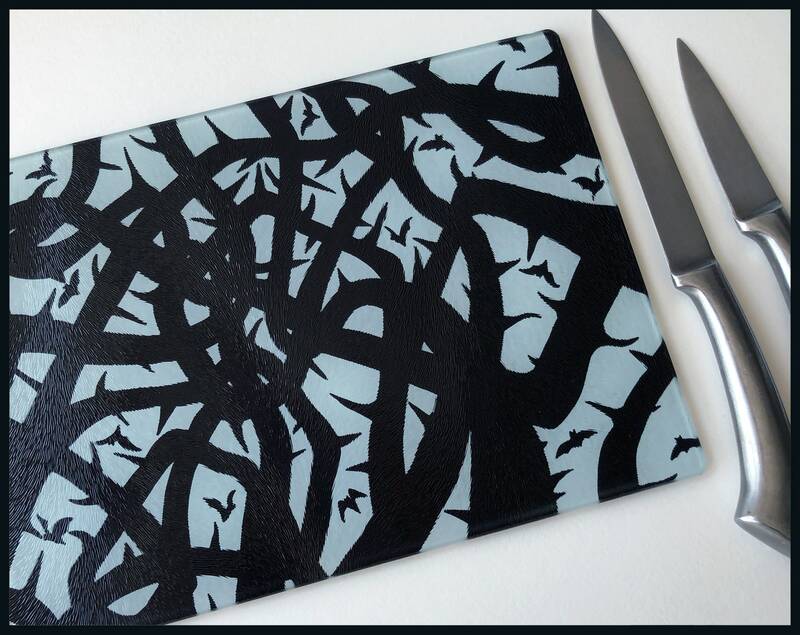 The cutting board measures 20cm x 28cm, and on the underside, theres a non-slip grip in each corner.